While nursing, like so many other professions, has a growing remote workforce, obviously many of its jobs are the in-person, hands-on variety. For those who want to telecommute, what kinds of work at home jobs for nurses are available? This profile gives an outlook for telecommuting health care jobs, the types of jobs for nurses as well as where to find them. Employment of registered nurses is expected to grow 26 percent from 2010 to 2020, faster than the average for all occupations. Growth will occur primarily because of technological advancements; an increased emphasis on preventative care; and the large, aging baby-boomer population. That’s probably not news to anyone in nursing, but the question that comes up is how many of these jobs will be adaptable to telecommuting. And while the BLS doesn’t break down the profession in this way, there are some signs that remote or virtual nursing jobs will keep pace, if not outpace, clinical, in-person ones. [F]ederal officials leading the multibillion effort to get doctors and hospitals to use health information technology are now reaching out to patients and families to help them become e-patients. 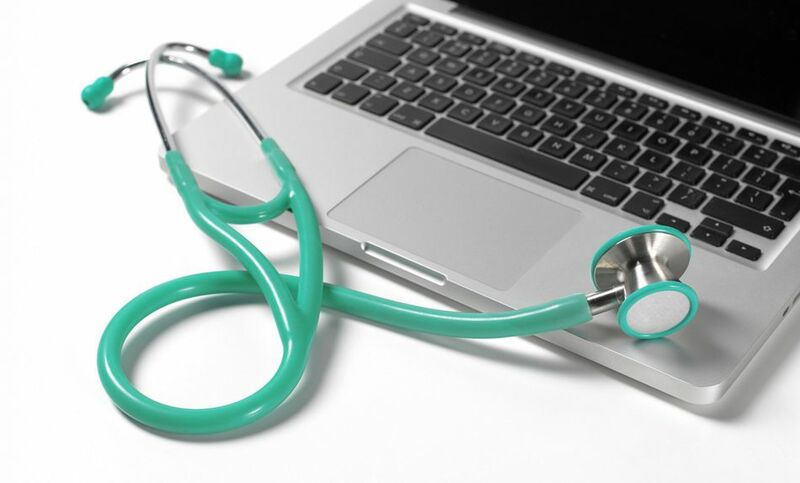 In addition to telehealth, insurance companies are a segment of the workforce that is increasingly turning to telecommuting and hires many nurses both in telehealth positions and for other jobs such as case managers. Medical Call Center Agent: Medical call centers and insurance companies hire nurses to perform telephone triage, give medical advice or check on patients’ well-being and health habits. Case Management: Case managers coordinate care for patients, and often insurance companies that hires nurse case managers will allow telecommuting in some positions, though often only after working in an office for a period of time. Legal Nurse Consultant: A legal nurse consultant, who could be either contractor or employee, consult with lawyers and other legal experts about medical issues related to law, such as personal injury, malpractice, worker’s compensation, etc. Health IT/Nursing Informatics: IT jobs, in general, can often be work at home, but both the specific field of health IT and general information technology usually require time working in an office environment and a high level of skill before transitioning to work at home. Online Teaching: Online colleges are often looking for people with hands-on experience in a field to be instructors, course developers or subject-matter experts, and nursing is no exception. Teaching experience is helpful in making the transition to online education as is a master’s or doctoral degree. Project Management: Nurses with business experience may find work in the health care industry in positions such as project manager or quality consultant. While many of these positions require on-site work, some can be telecommuted at least part-time. Typically licensure is required in a specific state. Most companies are looking for registered nurses, preferably with a BSN degree. Virtual jobs may pay less than in-person ones. Most positions require some clinical experience. This is an extensive list of companies that offer legitimate work-at-home nursing positions: Nursing Jobs From Home. Since most jobs are based in a specific state due to licensure requirements, it is very important to consistently check local listings for jobs that may either be hiring remote workers or, as is often the case, will allow an established employee to transition to a telecommuting basis. Additionally, job seekers should keep an eye on listings in professional journals and websites within their specific field. As always, you'll want to be familiar with the signs of a WAH scam when looking for any home-based job, but nursing isn’t as rife with scams as, say, data entry work. With nursing, however, salaries can be disappointing for those considering working at home. Medical call centers, in particular, are low paying in comparison to all nursing positions. Nurse case managers at insurance companies who work at home may draw the same pay as their in-house counterparts. An additional concern that nurses going into telehealth or other telecommuting nurse jobs with patient contact is malpractice liability. Be sure that the company has clear policies and protocols to protect you in a malpractice case.